2pm | After a wet, miserable and disappointing Australia Day in Sydney, we’ve found our way over to Perth, where it’s a semi-final of sorts, between England and India. The winner of this game will take on Australia in the Final here on Sunday, so both teams have everything to play for this afternoon. Hello and welcome to the WACA for Game 6 of the Carlton-Mid Series between England and India. 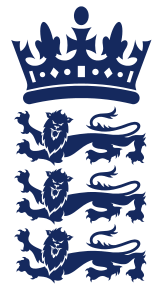 Do or die today, and England have won the first battle of the day. Eoin Morgan won the toss, and has elected to bowl first… no game in this series has been won by the team batting first, so maybe… just maybe, that’s an omen for him and his men this afternoon. Let’s have a look at the two teams for the game today… England are unchanged, from the team that played in Hobart last Friday. India have made a change, with Ishant Sharma not fit to play, so Mohit Sharma will come into the side. It’s DO or DIE… the winner to play Australia on Sunday, as we complete the warm-up to the World Cup, which is now only just 15 sleeps away. More from the WACA in just a moment! Hello again from the WACA… We’re ready to go, as India and England face off for a spot in the final, as Rahane takes strike to Jimmy Anderson, and waiting for us in the Commentary Box are Brett Lee, James Brayshaw and Mark Taylor! GOT HIM!!! THERE’S THE BREAKTHROUGH… CHRIS WOAKES IS THE MAN TO DO IT! Virat Kohli is the new man in, in this his 150th ODI… Brett Lee, David Lloyd and Ian Healy are in the commentary box. 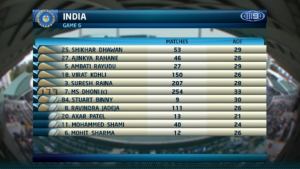 Raina joins Rahane, who has gone past 50, and in the commentary box are Mark Taylor, Mark Nicholas and Michael Slater! GONE… SILLY SHOT FROM RAINA, AND HE’S GONE… INDIA HAVING A MINI COLLAPSE AT THE WACA, AND ENGLAND ARE ON TOP HERE… THE SCORING HAS BEEN SLOW, AND THE MOMENTUM IS SHIFTING… 3 WICKETS IN THE LAST 10 OVERS… IT’S 3/107! GONE… THICK EDGE, AND BROAD BREAKS THROUGH… THEY’VE LOST 4/51 THE INDIANS, AND IT’S 4/134! 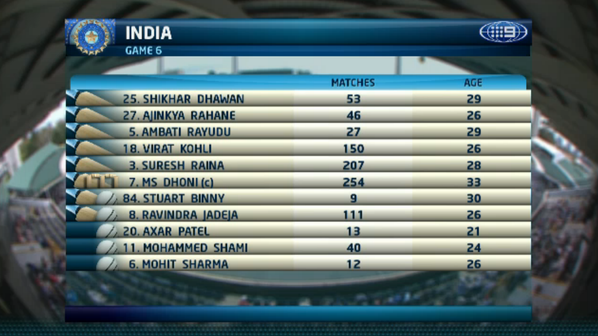 Dhoni is the new man in… and the captain has a lot of work to do over the last 16 overs. waiting for us in the commentary box are Ian Healy, David Lloyd and James Brayshaw! 4:50pm | GONE… THE KEY MAN IS ON HIS WAY! RAHANE WAS THE ROCK IN THE INDIAN TOP ORDER, BUT HE GOT AN ABSOLUTE BEAUTY FROM STEVEN FINN, AND HAD NO ANSWER TO IT! OH, WHAT A CATCH… IAN BELL… WHAT A SERIES HE IS HAVING FOR ENGLAND. STUART BINNY MUST GO, AND NOW THE TAIL IS EXPOSED! 5:25pm | OUT!!! PLUMB LBW… MS DHONI IS ON HIS WAY… AND HE HAD NO HOPE OF SURVIVING THAT APPEAL… IT WAS SMASHING INTO ALL THREE STUMPS! 5:30pm | OH DEAR… IT JUST GETS WORSE FOR INDIA… JADEJA HAS JUST SENT THAT SKYWARD, TRYING TO GET QUICK, MUCH NEEDED RUNS FOR HIS COUNTRY, AND HE’S MISS HIT IT, STRAIGHT INTO THE HANDS OF FINN. England are in the box seat here, and will let to get this job done quickly. To take you through the final seven overs, it’ll be Ian Healy, James Brayshaw and Michael Slater! 5:34pm | GONE… THE JOB IS NEARLY DONE… THICK EDGE FROM PATEL, AND IAN BELL IS THERE TO TAKE THE CATCH. IT’S 9/165, AND AGAIN ENGLAND WILL BE CHASING VERY LITTLE FOR VICTORY! IT’S ALL OVER… INDIA ARE ALL OUT FOR 200, AFTER A GREAT PERFORMANCE FROM ENGLAND. 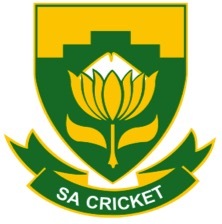 England will chase 201 for victory and a spot in the final at 6:30pm AEDST. 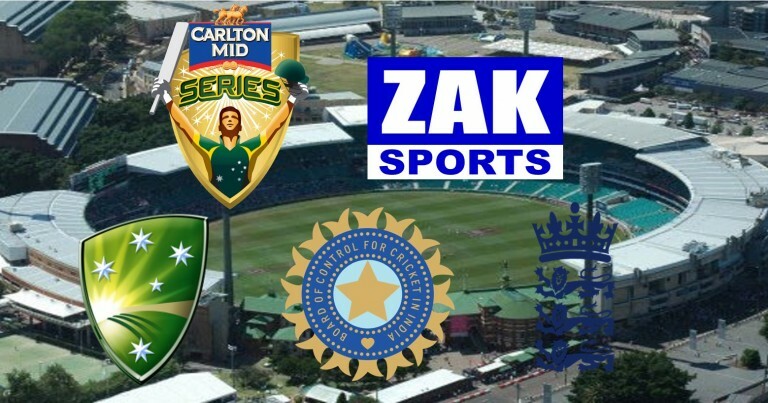 Good evening everyone, and welcome to the WACA… England at the crease, chasing 201 for victory in this final preliminary match in the Carlton Mid Series, between England and India. India were bowled out for 200 earlier this afternoon, in what was a brilliant bowling performance from the English! Waiting for us in the Commentary Box are Michael Hussey, Mark Taylor! 6:50pm | GONE… IT’S 1/14… AND IT’S THE BIG WICKET OF IAN BELL TOO! 7:31pm | GOT HIM… ALI IS GONE… INDIA ARE FIGHTING HARD AT THE WACA! GOOD CATCH, GOOD BOWLING… WHAT A CONTEST WE HAVE HERE. OUT… CAUGHT AND BOWLED… WHAT A GOOD CATCH FROM STUART BINNY… REMOVES ROOT, AND ENGLAND ARE ON THE ROPES. 3/44… We’ve got a game of cricket on our hands in. Change in the commentary box… in come Mark Taylor, Brett Lee and Mark Nicholas! 7:57pm | GOT HIM… EOIN MORGAN IS GONE, AND IT’S 4/54 AT THE END OF THE 18TH OVER… WHO’D HAVE SEEN THIS COMING??? MORGAN, LOOKING TO DRIVE THE BALL, GOT IT OFF THE TOE OF THE BAT, AND IT’S GONE TO MID ON, STRAIGHT INTO THE HANDS OF SHIKHAR DHAWAN! 8:03pm | GOT HIM… THEY’RE FIVE DOWN… INDIA ARE HALFWAY THERE… WHAT A GRIPPING GAME OF CRICKET WE’RE SEEING HERE AT THE WACA! Jos Buttler is now in the middle with Taylor, who’s been the constant of this innings… he has 25, and we have a change in the Commentary Box too… here are Michael Hussey, David Lloyd and Ian Healy! GONE!!! THIS LONG, VITALLY IMPORTANT PARTNERSHIP IS OVER!!! TAYLOR MUST GO, BUT WHAT A SUPERB INNINGS IT WAS! 9:47pm | GONE… BUTTLER IS OUT… AND ENGLAND AREN’T HOME YET! THE BATSMEN ARE ALL BACK IN THE SHEDS, AND THE BOWLERS ARE LEFT WITH THE JOB OF SCORING 8 TO WIN THE GAME! WHAT A BRILLIANT INNINGS THAT WAS FROM BUTTLER… RIGHT WHEN ENGLAND NEEDED IT! ENGLAND WIN… THEY GO THROUGH TO THE FINAL TO PLAY AUSTRALIA… INDIA FAIL TO WIN A MATCH IN THIS TOUR, BUT THEY’VE GOT SOME GOOD TIME ON AUSTRALIAN PITCHES AHEAD OF THE WORLD CUP. It wasn’t easy for either side, and India were probably 15-20 runs short of making this a real difficult task for England. So, India… winless so far in Australia, but remain a threat when the World Cup rolls around. England, they stay here for Sunday, when they’ll fight it out with Australia, for the Carlton Mid Tri-Series Trophy. We’re with you from 1:30pm on Sunday. Thanks for your company. From the WACA, it’s goodnight!